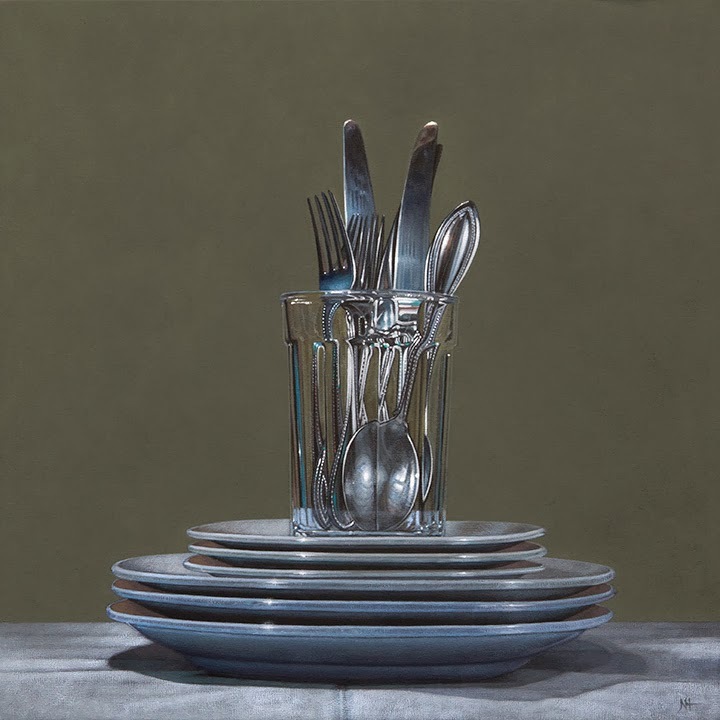 This third version of Place Setting was a commission contracted through Tree's Place Gallery. It should be ready to ship in a week or so. With it complete I've moved on to another piece for C. K. Contemporary. I've not sent them a "Coke" painting yet, so I've got one of those going. I'm not exactly sure what I'll choose to paint after that. There's talk of another commission, and I've also acquired some new props, so depending on how things go, it might be time for some more photography. 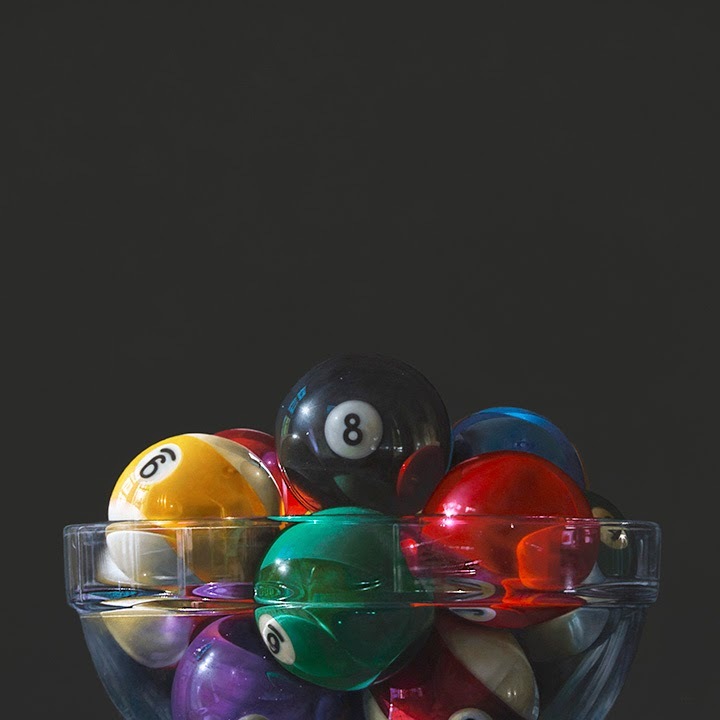 With Precious Metal on the road to C. K. Gallery in San Francisco, I was in the mood to paint a smaller still life. 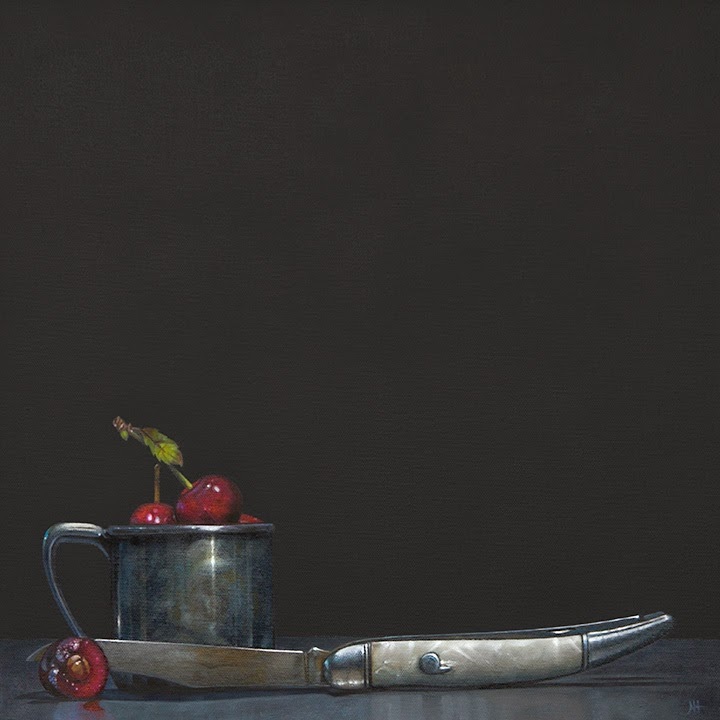 I had a lot of images from the fishing knife and cherries shoot and was eager to paint another. I really like the pearly handle of the knife and the tarnished silver cup. Once it's dry and varnished, I'll be shipping it to C. K. as well. I wasn't able to show them much love in 2013 and plan to send them more soon, but my next painting will be a commission. It's possible that the next two paintings will be commissions, but once they're complete it's back to work for California. The final quarter of 2013 was a real mixed bag of unexpected activity that ate up a lot of painting time. Some of that activity was really fun but the bulk of it was a real drag. That said, I still managed to get in one more painting before New Years Eve. A commission for a Pool Bowl arranged through Rehs Galleries in NYC. I think this was the largest format I've ever used for this subject and it took a lot of hours to complete. Hope the client will be pleased when it arrives. Now it's on to 2014. I've got a lot of catching up to do and there's been discussion of a few commissions as well. At this point I'm just trying to sort all of that out, so I'm not sure what's going to appear here next.